We are a top-notch organization, engaged in providing Drum Beaters Felt Ball. This Set of felt ball trivet and Coasters with one trivet size 20 cm and four Coasters size 10 cm. Banking on our enriched industry experience, we are able to supply Felt Balls. Wool felt broad spectrum application also caters to this industry. Among the most commonly used, felt parts in the Piano also know as damper felt. High density parts are used in percussion instruments. 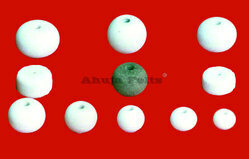 - Felt Beater balls with or without mallets. - Felt beaters for timpani. - Felt for drum pedal. We are amongst the most reputed names in the industry, offering Felt Ball. 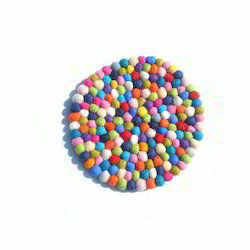 In order to meet excellent quality standards, we are supplying Felt Ball. From our wide consignment, we are affianced in supplying Felt Ball. Shree Radhey Govind Felts Pvt. Ltd.